Thursday, May 9, 2019 | 6 p.m. - 7:30 p.m.
Have you developed a comprehensive plan to manage and protect your assets for the future? 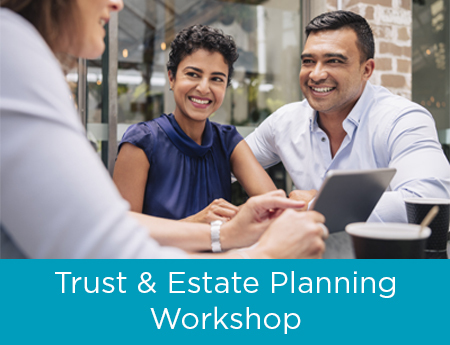 Please join Premier America Credit Union and representatives from LPL Financial and Affinity Trusts for a complimentary workshop where you’ll learn best practices for effective Trust & Estate planning. Sean Tompkins is a Registered Financial Advisor with LPL Financial. Securities and Financial Planning are offered through LPL Financial, a registered investment advisor. Member FINRA/SIPC. Insurance products offered through LPL Financial or its licensed affiliates. Premier America Credit Union, Premier America Investment and Retirement Services and Affinity Trusts are not registered broker dealers and are not affiliated with LPL Financial. Premier America Investment and Retirement Services and LPL Financial do not provide legal advice or services. Please consult your legal advisor regarding your specific situation.